On Friday P1 took golden time outside. We wrote with chalk or used squirty water bottles to draw and write shapes, numbers and words. We had a fantastic time! Primary 3 played board games during Golden Time on Friday. They had to concentrate and use different strategies in an effort to win their game. It was very exciting and great fun especially if you were the winner! Key Stage 2 Cookery Club made the most amazing spring lamb cupcakes for as part of their Golden Time reward. They look baaarilliant! P4 had a great time today enjoying games in the hall. Have a look at the many different activities P1 have been enjoying in school this week. Primary One looks like tremendous fun. On Friday Primary One had a great time in the hall, for their Golden Time reward, using a wide range of equipment. They look really focused as they have fun developing some very important motor skills. Primary 4 LOVE finger knitting so they chose it for their Golden Time activity! It really relaxes everyone so we have decided that it must be part of P4 life from today onwards! Primary 3 made the most of the weather today and visited Legg Park for their golden time treat this week. We even had the park to ourselves. What a fab Friday we had today! Key Stage Two pupils braved the elements this afternoon to play dodgeball for Golden Time! We had great fun! Primary 3 had great fun in taking part in craft activities during Golden time. The children had lots of activities to choose from - decorating bags, unicorns, princess tiaras, using play dough and creating a water scene. Primary 4 really enjoyed Golden Time today in the Outdoor Courtyard. It created some great memories. P5 had great fun dancing to 'Just Dance' for Golden time in Key Stage 2! Primary four voted for hockey as their Golden Time reward this week. The P4 pupil-teachers were amazing and taught their peers how to pass the ball and how to try to score a goal. A great time was had by everyone! P5 and P6 has lots of fun relaxing in the Chill Out Room. They played on iPads, brought their own toys, drew pictures and coloured in. We were grateful to be serenaded by a ukulele and some of the homemade P6 instruments. Lots of fun was had by everyone and it was a lovely end to the week. KS2 Cookery Club were busy making 'ice creams' with a difference on Friday afternoon. Cookery Club had a great time making (and eating!) funny face biscuits this afternoon. There was hardly a crumb left afterwards, so something tasted nice! 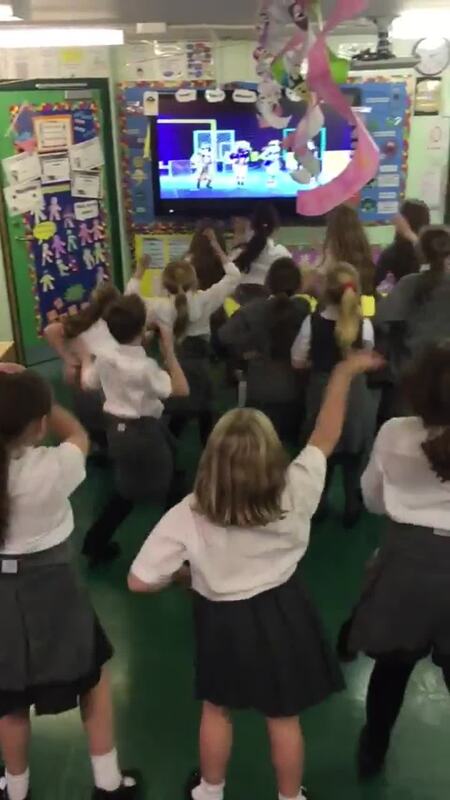 Primary 3 enjoyed a 'Just Dance' party as their golden time treat this week. I think we may have some professional dancers in the making. Lots of Key Stage 2 pupils made their own Eton Mess during Golden Time today. Dazzling desserts were enjoyed by all! ‘Just Dance’ was a very popular Golden Time choice this week. Just look at the great dance moves! Both Primary 3 classes had a great time at Legg Park for their golden time treat this week! Primary 5 had fun in the inner courtyard for Golden time on Friday! They explored the amazing range of activities and puzzles available to all of our children. Cookery was a popular choice of activity during KS2 Golden Time today. We were too busy to take photos of our skills in action but we managed to catch a few budding chefs enjoying their pizza quesadillas. Primary 2 enjoyed making puppets for their Golden Time activity this Friday. Primary two chose a trip to Legg Park as their Golden Time treat this week. The weather really showed up for them today. They look like they had a great time on the equipment together.